Did you know that on average people wait seven years to get hearing issues checked out by a medical specialist? Beneath this widespread procrastination is the misperception that gradual hearing changes are the same as minor hearing changes. Unfortunately, delaying a hearing exam often means that you lose the most effective time window for treating hearing loss. Hearing loss is most effectively treated when it is detected early. Most hearing loss develops gradually, which can make minor changes to the way you hear seem like not much of a big deal. But small changes can be the first sign of hearing loss, and addressing hearing loss early is the best way to slow the impact hearing loss has on your life and preserve life-long healthy hearing. For most people with hearing loss, issues develop gradually throughout their lifetime. The delicate sensory cells in our inner ear are called “hair cells” and can be damaged by infection, exposure to loud noise and even some medications. Damaged hair cells are unable to repair themselves and so when we lose a functioning hair cell it creates a permanent gap in the way we hear. As we age, our auditory system becomes more fragile in general, and it becomes easier for the hair cells to become damaged. The hearing we lose throughout our lifetime adds up to significant hearing loss. There is another component to the development of hearing loss. Our hearing is not only dependent on our ear’s ability to detect sound waves, it also relies on our brain’s ability to process sound signals into meaning. As more hair cells cease functioning, the inner ear sends incomplete sound signals to the brain. To compensate, the brain takes its focus away from other cognitive tasks to piece together incoming sound information. When our hearing develops as babies, our brain creates auditory pathways that help it recognize familiar sounds and streamline how it processes and reacts to incoming noises. When we have damaged hearing however, these streamlined pathways no longer function correctly. The brain begins to overwrite familiar auditory patterns with new patterns it is using to adapt to hearing loss. The longer hearing loss goes unaddressed, the further away from our natural hearing patterns our cognitive behavior goes. Allowing your brain to change along with your hearing takes your whole auditory system further and further away from natural, healthy hearing. This is one of the biggest reasons why it is best to treat hearing loss early, before new brain patterns are carved out. When people wait to treat their hearing loss, their initial experience of hearing aids can be hard to adjust to. This is because the brain has become so accustomed to a new way of hearing, it is difficult to re-establish the pathways of full, healthy hearing. If you treat hearing loss when it initially arises it is far easier for the brain to recognize incoming sound signals. Less cognitive changes have happened to the way you mentally process hearing and it is quicker and more natural to adjust to hearing with hearing aids or other assistive devices. 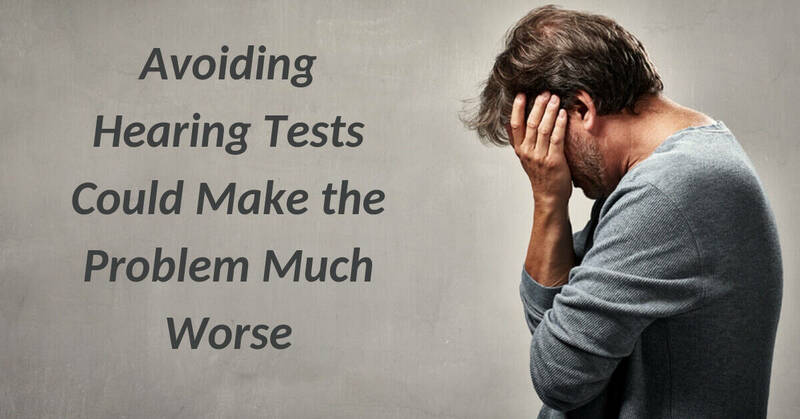 Conversely, letting hearing issues go untreated can actually worsen hearing loss and cognition. Alongside damage to the hair cells, the mental patterns you develop to process sound make hearing loss treatment more difficult. Certain sounds may become unrecognizable, and readjusting to hearing speech can take longer the longer hearing loss has not been treated. Even if you have let a hearing issue develop for years, treatment is still a possibility although it may be more difficult to adjust to than if the hearing loss was treated early on. The important factor is to get your hearing loss treated. The earlier, the better, hearing loss treatment can help improve your health and quality of life. Time for your next hearing exam? Coweta Hearing Clinic can help. We offer a full selection of hearing solutions and complete hearing testing. We evaluate your hearing and work with you to find treatment solutions that fit seamlessly into your lifestyle, programmed to your specific hearing needs. At Coweta Hearing Clinic, we’re committed to your lifelong hearing health and we’re always available to answer your hearing questions and help with your hearing health needs.